for $179,000 with 3 bedrooms and 2 full baths. This 1,590 square foot home was built in 1955 on a lot size of 0.1212 Acre(s). MOVE-IN READY!! This beautifully kept ranch offers convenient main floor living and spacious, open living areas. Completely renovated in 2014! Nicely appointed kitchen w stainless appliances, wood floors throughout, 3 bedrooms and 2 full baths. The master suite features a private bath w jacuzzi tub, large walk-in closet, and 6x13 sitting or deck area. 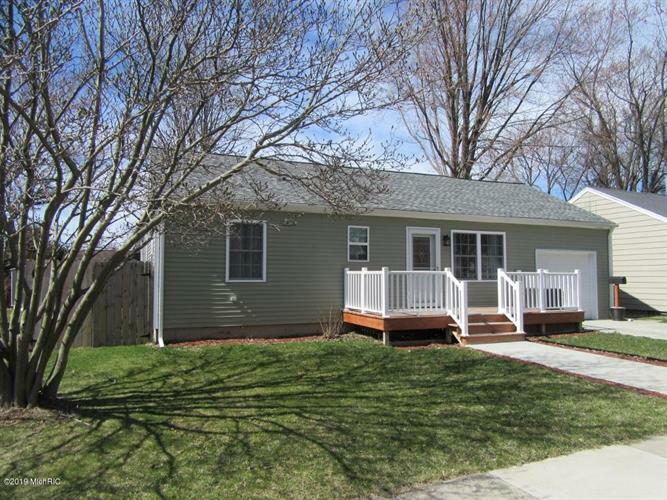 Attached garage, front and rear decks, and fenced backyard w storage shed. Act fast - this one won't be available for long! Call Ted Weberfor more information and to schedule a private viewing, .